The above sizes may have 2-3 cm error, please understanding. Comfortable and reasonable in price. 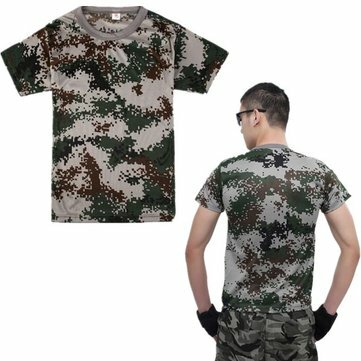 Jungle Camouflage Army Camo Short Sleeve T-Shirt .